The Permanent Press, 9781579623838, 288pp. There are two themes to Radiomen. First, if there are aliens interacting with our world they are likely just as confused about who or what God is as human beings are; and second, whoever they are, they’re probably just as fond of dogs as we are. Laurie works at a bar at Kennedy airport and doesn't remember that when she was a child, she met an alien on the fire escape of a building where her uncle kept a shortwave radio. The radio is part of a universal network of repeaters that is maintained by an unknown alien race; they use the network to broadcast prayers into the universe. She meets a psychic, who is actually part of a Scientology-like cult called the "Blue Awareness," as well as a late-night radio host. All have their own reasons for unraveling the mystery of the lost radio network. Laurie is given a strange dog by her neighbor, an immigrant and a member of the Dogon tribe—people who believe they were visited by aliens long ago and repeat a myth about how the aliens brought a dog-like animal with them. All Dogon dogs are supposedly descended from that animal. 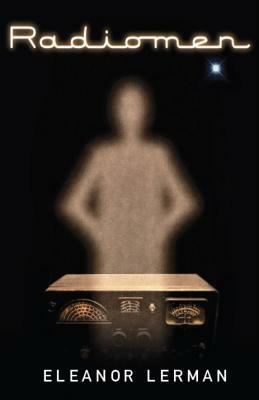 As conflict develops between the Blue Awareness leader and the other characters, the Dogon acts as an intermediary between the humans, who want to understand why the aliens need the radio network, and the aliens, who need the humans to help them find a lost element of the universal network.